The Korg Pa700 is one of the newer keyboards in Korg’s Professional Arranger series. With an MSRP of $1,800, this arranger keyboard is pretty affordable, but it may cost more than first-time keyboard buyers who are on a budget are willing to pay. In this Korg Pa700 review, we’ll discuss everything you need to know about this keyboard. And to better help you, please enjoy our interactive table below, where you can directly compare the Korg Pa700 against other notable keyboards on the market. What Does the Korg Pa700 Offer? The Pa700 includes 1,700 factory sounds and players can save 512 of their own sound creations to the instrument. The factory sounds were developed with Korg’s EDS-X (Enhanced Definition Synthesis-eXpanded) sound engine. The 61 key Pa700 uses Defined Nuance Control technology to add nuance and realism to its instrument voices. For example, players can add guitar fret noise to a guitar sound that they play on this Korg digital piano. New KAOSS FX gives musicians complete creative control over their performances by letting them reshape rhythms in real time, mix accompanying sounds, edit drum kits, and more. 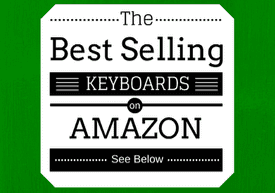 Below, take a brief moment to view some of the best selling keyboards on Amazon, and see how well they compare to the Korg Pa700. The Pa700 is loaded with 370 styles designed by Korg engineers, and these styles are fully customizable.Styles are automatic accompaniments that follow the musician’s chord changes; each style essentially adds a backing track to whatever is being played on the keyboard. Each style can be enhanced with pads. The pads can add sound effects, riffs, percussion parts, and accent sounds. Being able to customize the styles in this way makes the Pa700 extremely valuable to songwriters and performing musicians. In addition to the factory styles, owners of this arranger keyboard can save 1,152 of their own style creations to the Korg Pa700. The Korg Pa700 comes with 148 effects, including reverbs, delays, amp simulators, vintage stomp box simulators, and more. These effects give musicians a considerable amount of creative control; with these effects, musicians can give their music a modern feel, a retro feel, or even a futuristic feel. The Korg Pa700 is perfect for keyboardists who sing while they play. Dynamic microphones can be connected to this arranger keyboard, and musicians can apply effects to their vocals through the Pa700, which helps them to have a smooth vocal performance every time. The Pa700 also comes with a Vocal Remover feature that lets singers remove the vocals from an MP3 file so that they can sing along with the track (this feature will appeal to karaoke fans, too!). The Korg Pa700 includes features that are ideal for guitarists, too. Guitar FXs make it possible for guitar players to add pedals and studio effects to a guitar that they connect to this instrument through the Guitar Input on the back of the arranger keyboard. The masterminds at Korg handpicked some of the best guitar effects from their collection and added them to this arranger keyboard’s library. Players have their pick of distortion pedals, chorus pedals, delay pedals, amplifiers, studio-quality reverbs, and more. Having a dedicated Guitar Input and Guitar FXs makes the Korg Pa700 truly invaluable to multi-instrumentalists, especially those who perform onstage by themselves. The Korg Pa700 is a very powerful instrument, but it is not necessarily the best choice for those who are just starting to learn how to play the piano. This keyboard only has 61 keys and it is not a graded hammer action keyboard. A graded hammer action keyboard that feels heavier in the lower register than it does in the higher register makes the transition to playing an acoustic piano easier. If you learn how to play on the Korg Pa700, an acoustic piano’s keys will feel heavy to you, and it might make the adjustment process longer and more difficult. Similarly, starting off with a 61-key digital piano is not ideal. The 61-key Pa700 will simply not have enough range for musicians to play songs that span nearly all of the piano’s octaves. The Korg Pa1000 is considerably more expensive than the Korg Pa700 and costs $2,800. 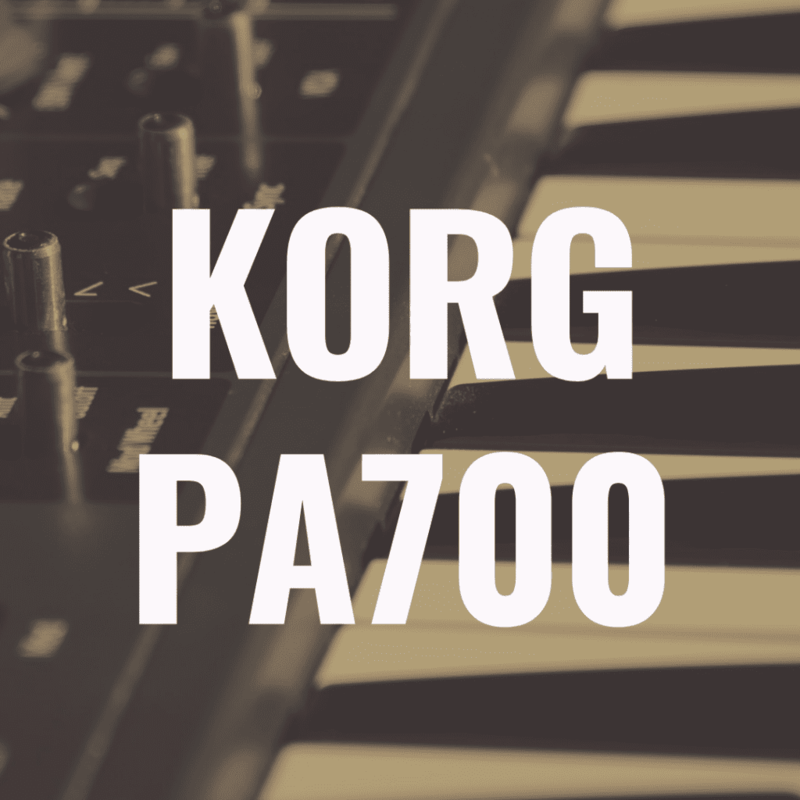 Like the Pa700, the Pa1000’s sounds were developed with Korg’s Defined Nuance Control technology, but this arranger includes roughly 1,750 factory sounds, which is a slight increase over the Pa700’s 1,700 factory sounds. The Pa1000 can hold 512 user sounds, so musicians can store just as many of their sound creations on this instrument as they can on the Pa700. KAOSS FX is included with the Korg Pa1000 as well, so all of the sounds are as customizable as they are on the Korg Pa700. This 61 key arranger keyboard comes with 430 styles, and musicians can save 1,152 of their own style creations. Both the Korg Pa700 and the Pa1000 have 148 effects, so keyboardists will have plenty to choose from whether they go with the Pa1000 or the Pa700. The Pa1000 includes mic and guitar inputs, and this arranger keyboard also has dedicated effects for both guitars and vocals. Thus, the Pa1000 is perfect for stage performers, too. The Korg Pa600 retails for $1,610, which is just slightly more affordable than the Pa700. This 61 key digital piano brings the power of Korg’s Professional Arranger (Pa) series to players who are looking for something both compact and affordable. 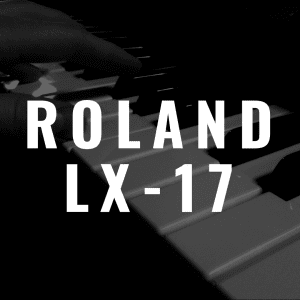 This arranger keyboard uses Korg’s RX (Real eXperience) and DNC (Defined Nuance Control) technology to bring incredible sound quality to musicians. With RX and DNC, players can add nuance and realism to their playing. For example, when using a guitar sound, players can add fret noise to their music. This arranger keyboard comes with roughly 950 factory sounds, and users can save 256 of their own sounds to the Korg Pa600. Of course, 950 factory sounds is quite a bit less than the Pa700’s 1,700 factory sounds. One of this arranger keyboard’s standout factory sounds is a multilayered acoustic piano sound that was sampled from a Concert Grand and includes string resonance and damper pedal resonance. 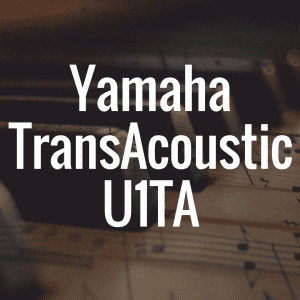 Both string resonance and damper pedal resonance are important characteristics of an acoustic piano’s sound. By including these features, the Korg Pa600 comes close to capturing the sound nuances of an acoustic piano in this sound. There are about 360 customizable factory styles within the Korg Pa600, and users can save 1,200 of their own style creations to the keyboard. The Pa700 has a few more factory styles, but those who go with Pa600 are certainly not going to be disappointed with the styles that are included with their arranger keyboard. The Korg Pa600 comes loaded with 125 effects, like chorus, delay, and reverb; it also includes a number of effects from Korg’s REMS (Resonant Electronic Modeling System) technology. With REMS technology, musicians can accurately recreate the sound of guitar amplifiers, bass amplifiers, vintage stompboxes, and more. The Pa700 has 148 effects, but 125 is definitely a workable amount of effects. For most players, the Pa600’s 125 effects are more than enough. The Korg Pa600 does not have a guitar or microphone input, so paying a little bit more for the Pa700 might be worth it to multi-instrumentalists and musicians who perform alone. The Yamaha PSR-S775 retails for $1,699, so it is comparable in price to the Korg Pa600 and Pa700. Like the Korg Pa700, the Yamaha PSR-S775 has a microphone and guitar input, and players can apply any of the PSR-S775’s effects to their vocals or guitar playing. The Yamaha PSR-S775 comes with 1,460 factory sounds, which is roughly on par with the Korg Pa700’s sound offering and considerably more extensive than that of the Korg Pa600. Like the Korg arranger keyboards, the Yamaha PSR-S775 comes with styles that musicians can use to spark creativity during their songwriting sessions or to accompany themselves on stage. The Yamaha PSR-S775 comes with 433 styles, which is more than any of the Korg arranger keyboards listed here. As such, the Yamaha PSR-S775 may be a better songwriting and performance tool for those who love to play along with or write to backing tracks. Which Arranger Keyboard Is Right For Me? The Korg Pa700 earns 4 out of 5 stars. This arranger keyboard is perfect for musicians who perform and write their own songs, especially those who perform by themselves. The Korg Pa700 has more than enough factory sounds, effects, and styles to provide endless hours of fun and inspiration to its users. While the Korg Pa700 is a great choice for performers and songwriters, it is not an ideal first instrument for people who are at the beginning of their piano-playing journey. Like all of the arranger keyboards listed here, the Korg Pa700 has a 61-key keyboard, and its keyboard does not have a graded hammer key action. 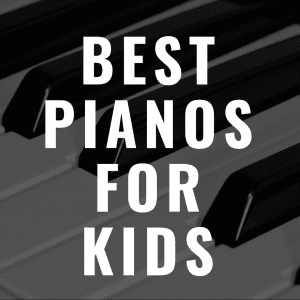 This means that the keyboard does not feel very much like that of an acoustic piano, so players who start learning how to play the piano on the Korg Pa700 (or any of the keyboards listed here) run the risk of making their future adjustment to playing on an acoustic piano more difficult. The keys of an acoustic piano feel lighter in the high end and heavier in the low end, and the keys on these arranger keyboards feel the same across the board; thus, adjusting to the various weights of the keys on an acoustic piano might prove difficult for people who start out on the Pa700 or a similar keyboard. The Korg Pa700 has 61 keys, so this arranger keyboard does not have the full range of an acoustic piano. As such, people who learn how to play the piano on the Pa700 will not have access to the full range of a piano’s keys, and they will eventually run into songs that they cannot play all the way through because their keyboard does not have the keys they need. Still, the Korg Pa700 is perfect for more advanced players who enjoy writing their own songs or who want to take their keyboarding skills to the stage. With both a guitar input and a microphone input, the Pa700 is perfect for multi-instrumentalists who play alone onstage. For those with a bigger budget, the Korg Pa1000 is also a great choice. There are not many key differences between these two arranger keyboards, but the Pa1000 does come with fifty more factory sounds. Many players likely will not find themselves exploring all 1,750 of the Korg Pa1000’s sounds, but this vast sound offering will appeal to musicians who pay a great deal of attention to the subtle sonic differences between instrument voices. Of course, the considerable amount of effects and Korg’s new KAOSS FX technology make all of these sounds fully customizable, so musicians can truly make these sounds their own. Ultimately, the Korg Pa700 and the Korg Pa1000 are the best of the arranger keyboards listed here. Again, there are not many differences between these two keyboards, so the choice ultimately comes down to personal preference and your budget. 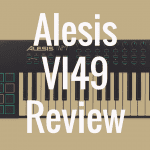 Get a general overview of arranger keyboards here. 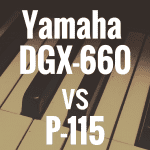 Yamaha DGX-660 vs Yamaha P-115: What Should You Buy? 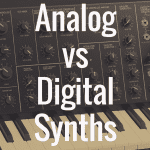 Analog Synthesizer vs. Digital Synthesizer: Which is Better?